How Far is Jains Ankur? 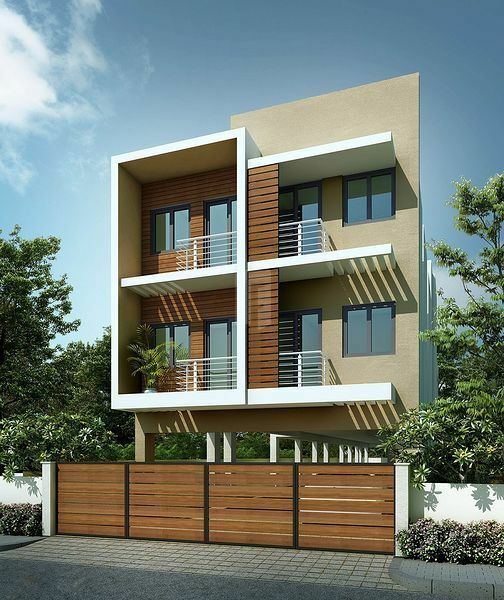 Jains Ankur is one of the residential developments by Jain Housing, located at Chennai. It offers spacious and skillfully designed 2BHK apartments of different sizes. The project is well equipped with all the amenities to facilitate the needs of the residents. The flooring in living, dining, bedrooms, and kitchen will be of Vitrified tiles. The flooring in balconies, toilets & wash area will be of first quality anti skid ceramic tiles. Kitchen will have first quality ceramic wall tiles for 2 feet above the platform. Toilet will have first quality ceramic wall tiles for 7 feet height from floor level. Service areas will have ceramic tile for 4 feet height. Black granite of size 8’0”x2’0” will be provided, RCC platform can be provided on request. Porcelain sink/Stainless steel sink without a drain board will be provided. One loft of RCC will be provided in the kitchen. Indoor will be made of teak wood frame with Paneled skin door shutter. Bedroom doors will be made of teak wood frame with flush shutters. Toilet doors will be made of teak wood frame with flush shutter. One side of the door will have PVC lamination for suitable height or sintex PVC doors or equivalent. UPVC/Anodized aluminium French doors with sliding shutter and without grill will be provided. UPVC/Anodized aluminium with sliding shutter will be provided for all windows except kitchen. Anodized aluminium windows with sliding shutter for kitchen and anodized aluminium ventilator for toilets will be provided. All walls will be coated with putty and finished with emulsion paint. Ceilings will be finished with OBD. External walls will be finished with Supercem cement paint or equivalent. Main door will be of Melamine finish. All other doors will be finished with enamel paint. Windows and Ventilator grills will be finished with enamel paint. Three-phase supply with concealed wiring will be provided. The actual supply will be single or three phases based on the TNEB rules and regulations at the time of energizing the complex. Separate meter will be provided for each flat in the main board located outside the flat at the place of our choice. Common meters will be provided for common services in the main board. In 3 bedroom apartment- A/C provision with electrification will be provided in two bedrooms In 2 bedroom apartment- A/C provision with electrification will be provided in two bedroom In single bedroom apartment A/C provision with electrification will be provided in one bed room. 15A plug points will be provided for Refrigerator, Washing machine and Geyser in toilets. The wiring for 5A points will be of 1.5sq.mm rating adequate for equipments of capacity of 750W and 15A points will be of 2.5sq.mm rating adequate for equipments of capacity of 1500W. AC wiring will be of 4 sq.mm which can take up a capacity of 2 tones. Standby generator for min. essential points in common areas will be provided. TV and Telephone points will be provided in Living and Master bedroom. The cables for TV and Telephone will be provided at a suitable location in living. All toilets will be provided with wall mounted closet. Dining will be provided with washbasin. High quality chromium plated fittings will be provided in toilets. An overhead tank of required capacity will be provided for water. Deep bore wells will be provided. The depth will be decided by us based on the yield. Lifts of Johnson/OTIS/Schindler or equivalent make will be provided. Sump of required capacity for water will be provided. Standby generator backup will be provided for essential points in common areas. CCTV Surveillance Camera shall be provided in common areas for security reasons.